notice to teachers in the uk It is illegal to reproduce any part of this work in material form (including photocopying and electronic storage) except under the following circumstances: (i) where you are abiding by a licence granted to your school or institution by the Copyright Licensing Agency; (ii) where no such licence exists, or where you wish to exceed the terms of a licence, and you have gained the written permission of Cambridge University Press; (iii) where you are allowed to reproduce without permission under the provisions of Chapter 3 of the Copyright, Designs and Patents Act 1988, which covers, for example, the reproduction of short passages within certain types of educational anthology and reproduction for the purposes of setting examination questions. Active learning is a pedagogical practice that places student learning at its centre. It focuses on how students learn, not just on what they learn. We as teachers need to encourage students to ‘think hard’, rather than passively receive information. Active learning encourages students to take responsibility for their learning and supports them in becoming independent and confident learners in school and beyond. Research shows us that it is not possible to transmit understanding to students by simply telling them what they need to know. Instead, we need to make sure that we challenge students’ thinking and support them in building their own understanding. Active learning encourages more complex thought processes, such as evaluating, analysing and synthesising, which foster a greater number of neural connections in the brain. While some students may be able to create their own meaning from information received passively, others will not. Active learning enables all students to build knowledge and understanding in response to the opportunities we provide. Why adopt an active learning approach? We can enrich all areas of the curriculum, at all stages, by embedding an active learning approach. Active learning develops studentsâ&#x20AC;&#x2122; analytical skills, supporting them to be better problem solvers and more effective in their application of knowledge. They will be prepared to deal with challenging and unexpected situations. As a result, students are more confident in continuing to learn once they have left school and are better equipped for the transition to higher education and the workplace. What are the challenges of incorporating active learning? When people start thinking about putting active learning into practice, they often make the mistake of thinking more about the activity they want to design than about the learning. The most important thing is to put the student and the learning at the centre of our planning. A task can be quite simple but still get the student to think critically and independently. Sometimes a complicated task does not actually help to develop the studentsâ&#x20AC;&#x2122; thinking or understanding at all. We need to consider carefully what we want our students to learn or understand and then shape the task to activate this learning. Active learning is not a new thing in Science. In fact, Science itself is an active process, which builds knowledge in a similar way to how ideas are built in your classroom. John Dewey said: ‘Give the pupils something to do, not something to [rote] learn, and if the doing is of such a nature as to demand thinking, learning naturally results.’ By generating that thinking, students take ownership of their learning, and they are more motivated to learn. If learning is going to mean anything to students, it needs to build on what they know and understand already. Our students have spent their childhood trying to make sense of the world, and they develop their own scientific theories as a result. However, sometimes these theories can be wrong. They tend to be built upon everyday experiences, and may prevent a student from learning what we want to teach. Sometimes they are linked to specialist language. For example, weight means something different in Science to everyday life. Can we ignore these ideas? No – if we don’t deal with them, they can slow down further conceptual development. If you want students to change their ideas, you need to make them realise that their ideas are wrong, by generating conflict in their mind between their own ideas and the evidence. How can you make this work? Ask students to make predictions before a piece of practical work. Their prediction is based on their prior ideas, but the data they collect may conflict with those ideas.You can do the same with simulations: ask students to make predictions, run the simulation, and generate that conflict in their minds. Whatever you do, remember that if students see that conflict, they will be more open to taking on the new ideas. As you get more experienced, you will know many of the misconceptions which students tend to hold about scientific ideas, and you can attempt to challenge them accordingly. 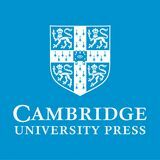 You will find many lists of common misconceptions by doing an internet search for ‘Science misconceptions’. However, it’s not enough just to break down students’ ‘wrong ideas’.You have to help them build the correct understanding of a concept. And that means getting students to work out the correct ideas for themselves. In pairs, on paper, students answer a question designed to uncover their misconceptions; they must use fewer than 140 characters. They pass the tweet between groups, where it is refined and revised before being returned to the original pair. They then decide what questions they want to ask the teacher. LESSON IDEA 6.2: using misconceptions Use students’ misconceptions as the platform for learning. Put their different ideas on the board, and ask students to say which ones they agree with. Ask students to justify their ideas, and to explain to other students why the misconceptions are ‘wrong’. Invite students to add ideas to each other’s explanations, until most of the class have adopted the correct ideas. Active learning To help students understand concepts, you need to get the storyline right. Break down the storyline into steps, and think about how to get students to work out each step for themselves. Think about which ideas need to come first, and which ideas build on the first one. •	Does it allow students to start with something familiar? This may be conceptual knowledge which they already have, but could also just be a familiar context from everyday life, within which you set the learning. •	Does it allow students to work out ideas for themselves? If it’s a worksheet, look at the questions. Do they simply find out what students know (you’ll see questions starting with ‘What?’, ‘State’, or ‘List’), or do they prompt students to think (questions like ‘Why?’ or ‘How?’)? Does the answer to one question help them to answer the next question? Does each step of the learning activity help them to ‘work out’ one step in the storyline of the lesson? •	Does it start easy, to give students confidence that they can ‘do it’, and then ask them to think more deeply? •	Does it both help students to learn and elicit evidence of learning? •	Does it allow you, or other students, to support each student’s learning? •	Does it build on students’ personal interests, and allow them to feel that they are pursuing their own goals? You may want to give them a choice of learning activity, or tie the learning activity to their interests. Different activities lend themselves to being completed individually, in pairs, in groups or all of these. Building ideas together can be much more effective than building ideas alone. This is because students can help each other ‘in their own words’, but also because it makes students feel responsible for their learning, because they have an obligation to each other. To encourage you to really think about the criteria above, use them to help you develop a worksheet for one of your lessons. •	Make each group fit for purpose. Who is in each group? What does the group need to do? What kinds of skills do you need in each group? What kinds of ideas are you trying to get each group to build? What difficulties may students encounter? What activity ou don’t have to ask these should you use to build the ideas? Y questions in this order. If you design groups according to the concept you are trying to build, you may ask the questions in a different order entirely. •	What does each group member do? It’s important to work out what role each group member should take because it gives students purpose. If you don’t allocate roles, some students may lose interest, sit back and learn nothing. If you ensure everyone participates, this can give everyone the chance to say what they think, have it challenged by others in the group and rebuild their understanding. •	What is the outcome required? Make sure each group is working towards a definite outcome. Without an outcome, students won’t be focused. Outcomes will depend on the task; they may be shared or joint. Give students an explicit time limit to work towards to maintain the pace of the lesson. Table 6.1: Making thinking happen through choosing the correct command word. Take two of the activity ideas which look relevant to a lesson you are planning. Find four different command words for each, which would give each activity a different purpose in helping students to learn in your classroom. Include one of these activities in your lesson planning. asked them to do. Help them to manage their space so they can focus on the task. Give value to students’ work, either by praising it explicitly and displaying it on the wall, or by using it as part of your own teaching. Students need to feel they are good at Science to have confidence to learn it. Help students to realise they can make mistakes and it is OK to find things difficult.Value mistakes, mention them explicitly and use them to build the next steps in the storyline of the lesson. Encourage them to take risks and explore a line of thought, even if it eventually goes nowhere. Getting ‘stuck and unstuck’ is an important part of the learning process. Offer students just enough help to get them back on track, or simply wait for them to puzzle it out for themselves. Help your students to keep trying when they find things hard.You can give a few hints, ask questions to make them think in a different way or encourage them to think of a different solution.You should try to offer ‘just enough’ to help them overcome their obstacles. Encourage students to think about what they are learning. For example, if you see a wrong answer on their page, ask them to explain their thinking. Be observant and try to find out what everyone is doing so that you are ready to respond to different individual responses and needs. Encourage collaboration with other students. If students seek support from each other, it gives you more time to support those who really need the help. Some teachers have a rule that says: ‘Ask at least two other students, and then you can ask me.’ Get rid of the concept of ‘cheating’ – students should become learning resources for each other. Try to avoid the temptation to teach too much. There’s value in allowing students to puzzle it out for themselves. Your aim is for them to explore and develop their own understanding. You may need to sit on your hands to stop yourself intervening too often! So far, we’ve talked about starting from the students’ starting points, designing a storyline that shows progression (builds upon what goes before), and getting students to work ideas out for themselves, either individually or in groups. When we design learning activities, we’re usually thinking about learning outcomes from the syllabus. However, imagine a case where students are helped to set their own learning objectives, to decide their own learning activities and to come to their own conclusions! This is perhaps several steps too far for many of us (and may not fit the syllabus very well), but giving students the chance to do inquiry, and to learn Science through the process of inquiry, is a fantastic aspiration. If you do decide to use inquiry, it doesn’t have to be this ‘open’ route; often more structure would help students to learn more effectively. Look at Table 6.2 to help you think about how to design inquiry in your lessons, and how ‘student-directed’ to make it. You don’t need to be in the same column of Table 6.2 for everything. For example, you may give students a question to investigate, but then get them to plan what data to collect. Students decide what to investigate. Students choose what to investigate from a list given by the teacher. The teacher gives the students a single question to investigate. Students think about what evidence to collect, and they collect it. The teacher gives students a choice of what data to collect, or what pre-provided data to use. Students are given evidence/ data by the teacher. Students decide how to analyse evidence. The teacher suggests ways in which students may analyse their evidence, which they choose between. Students are told how to analyse their evidence. Students create their own explanation of the evidence. The teacher suggests some ways to formulate an explanation, which students choose between. Students are given a way to formulate an explanation based on evidence. Students link their explanation to scientific knowledge, researching that knowledge themselves from other resources. Students are directed to other resources, and shown how to form links to scientific knowledge. Students are given other resources and shown the links with scientific knowledge. Students are given broad guidelines on how to justify and communicate explanations. Students are given all the steps to justify and communicate explanations by the teacher. Students are given broad guidelines for reflecting on and evaluating the inquiry and what they’ve learnt from it. Students are given a structured framework for reflecting on and evaluating the inquiry and what they’ve learnt from it. choose how to communicate and justify explanations. Students decide how to reflect on and evaluate the inquiry and what they’ve learnt from it. Table 6.2: Structuring learning through inquiry. You will find that people define inquiry in different ways. Because of this, some people will say it is wonderful for teaching and learning, and others will say it is terrible. This difference is usually because they haven’t thought about the difference between Open, Guided and Structured inquiry. Use Table 6.2 to help you implement inquiry effectively, and reflect upon your success. • Students learn actively in Science if they are made to think. Thinking together in groups can be very helpful. • Start from students’ prior ideas, and help them to build their learning, rather than simply telling them the ideas. Think carefully about what you want them to learn, what they’ll be able to do when they’ve learnt it and how to design or choose an activity to achieve that. • Facilitate the learning process effectively: make students feel confident, make students think and avoid the temptation to give them all the answers. • Use inquiry to help students learn, and provide enough structure to help them complete the inquiry, but not so much that they don’t think for themselves. 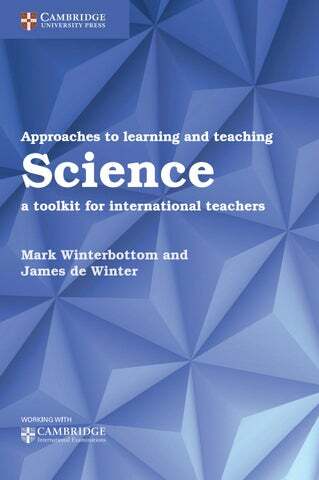 In the remainder of this book, you will think about active learning in Science from a number of different perspectives, and you will be introduced to a broad range of activities to help achieve it.